Talbot Chemicals Ltd recognises and accepts its responsibility to minimise, wherever possible, its impact on the environment and to comply with all statutory environmental requirements. Talbot Chemicals Ltd wishes to promote, amongst its staff and sub contractors, an understanding of environmental issues. Through properly developed and executed practices, Talbot Chemicals Ltd seeks to sustain and improve its own environment and contribute to the protection of the local, national and global environments. by provision of information, instruction and training. To achieve these objectives the following policies will be adopted to cover areas of key environmental importance. Talbot Chemicals Ltd wishes to conserve energy. It will endeavour to use the minimum quantities of energy possible in accordance with the safe and efficient operation of its heating, lighting, plant and machinery. It will continuously review its energy sources, energy forms, and energy efficiency with a view to causing least environmental impact. It will carry out a continuous programme of energy conservation by monitoring consumption and eliminating excessive or unnecessary use. It will communicate to staff and sub contractors the means by which energy may be conserved. Talbot Chemicals Ltd wishes to conserve water. It will endeavour to use the minimum quantities of water possible in accordance with its activities and it will ensure that the water its uses is both supplied and disposed of, in purest condition possible, meeting statutory requirements. It will carry out a continuous programme of water conservation by monitoring consumption, reducing leakage and eliminating excessive or unnecessary use. It will communicate, to staff and sub contractors, the means by which water may be conserved. 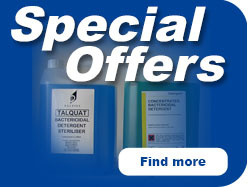 Talbot Chemicals Ltd wishes to mitigate the harmful effects of its traffic on the environment. When travelling to and from the our premises and on company business, all staff and sub contractors will be encouraged to use public transport and will be discouraged from the single occupancy use of private vehicles. Company controlled vehicles will be operated in such a way as to minimise their impact on the environment. Talbot Chemicals Ltd wishes to conserve resources. Through its purchasing policies it will seek goods and services, which do least harm to the environment in their production, delivery and packaging use, re-use, recycling and disposal. It will seek to purchase from local or regional suppliers which will maximise the Company’s input to the local community and minimise transport. It will communicate to staff and sub contractors means by which goods and services may be purchased, with due regard to the environment. Talbot Chemicals Ltd wishes to conserve resources by minimising its generation of wastes. It will do this by, in order of priority, reducing the acquisition of new materials, re-using materials, recycling existing materials and, if the former are impractical, disposal by a means which will have least impact on the environment and conforms to statutory requirements. It will communicate, to staff and sub contractors, means by which waste may be minimised. Talbot Chemicals Ltd wishes to develop and operate its buildings in order to conserve resources and minimise its impact on the environment. It will ensure that the potential environmental impacts of all its building projects will be assessed and minimised. This will include, where possible, the use of building materials from sustainable sources, methods of construction which make best use of resources and designs which result in low maintenance and high energy efficiency. It will communicate, to staff and sub contractors , means by which buildings may be used and operated correctly to conserve energy and minimise waste. d.	encourage the inclusion of environmental content within company literature. Blenders of chemicals, such as Talbot Chemicals Ltd, need to ensure that the chemicals we purchase are going through the registration phase (otherwise they will be withdrawn). Talbot Chemicals Ltd can confirm this is taking place. Talbot Chemicals Ltd has not in the past, does not currently and will not in the future use animal testing on any of our products. Talbot Chemicals Ltd do not send products out for animal testing on behalf of our customers. Talbot Chemicals Ltd do not directly supply any individual or organisation that engages in animal experimentation. Talbot Chemicals Ltd discourage and will not assist any distributor of our products to supply any individual or organisation that engages in animal experimentation. Talbot chemicals Ltd preferentially uses sources of raw materials where suppliers have similar ethical views to ourselves. The Directors of Talbot Chemicals Ltd enforce this policy, they do not have any financial interest in any company that either carries out animal testing, or who have a policy that contradicts that of Talbot Chemicals Ltd.